Maokong (Chinese: 貓空 ) is located in Wenshan District of Taipei, Taiwan. The area used to be the biggest tea growing area of Taipei. There are many intertwining footpaths which have been used to transport tea. 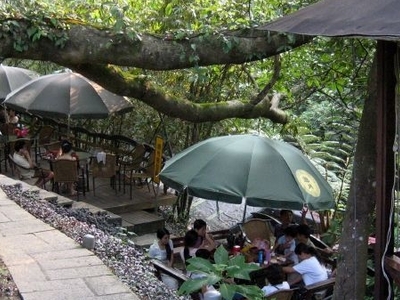 Now, it is a popular place for tea culture and viewing the night scenery of Taipei City. Maokong is a suburb of Taipei. It sits on the edge of Taipei Basin; the entire city of Taipei can be seen from the mountain, especially on a cloudless day.There are many pathways for hiking such as from the National Chengchi University at the foot of the hill to the top of the mountain. On weekends many people come to Maokong for go hiking and climbing. Maokong still produces some tea, most notably tieguanyin tea. Many restaurants in the area offer both good tea and food. A combination of traditional tea culture, food, and scenery are the main reasons the area has become a popular tourist destination. 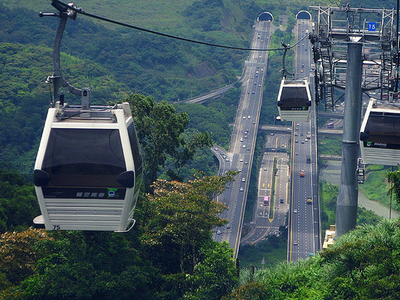 The Maokong Gondola, a gondola lift system, started operations on 4 July 2007. It connects to the Wenshan Line of the Taipei Metro at Taipei Zoo. The gondola was designed to make visiting Maokong more convenient for local residents and tourists. 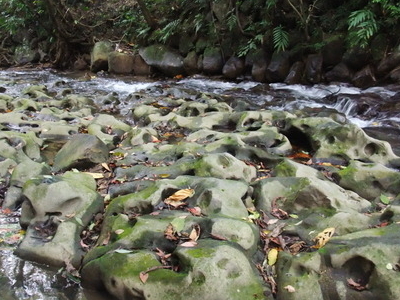 Here's the our members favorite photos of "Natural Features near Wenshan". Upload your photo of Maokong! Chocket Asiong is the only Touristlink member to visit Maokong. Have you been here? Click here to save it.